Son of Lithuanian parents, Massimiliano was born in Rome in 1944. He studied architecture at La Sapienza University and opened his Rome studio in 1967, followed by branches in Paris and Vienna over the next 25 years. He has taught in universities around the world and focused his career on large public buildings and urban complexes. Doriana O. Mandrelli studied History of Modern and Contemporary Architecture also at ‘La Sapienza University’. Doriana was the director's assistant for the VII International Biennale of Architecture in Venice and curator of four special selections for the exhibition. Currently, Doriana runs the Fuksas’s design team department, where she is continuously researching new materials and manufacturing technologies. 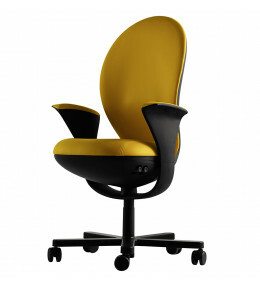 Bea Task Chairs have a double layer of Pebax®, the same technology used to produce athletic footwear.